Amancio Ortega is a Spanish billionaire businessman who is the founder of Inditex fashion group, best known for its chain of Zara clothing and accessories shops. Ortega is the second richest person in Europe after Bernard Arnault. 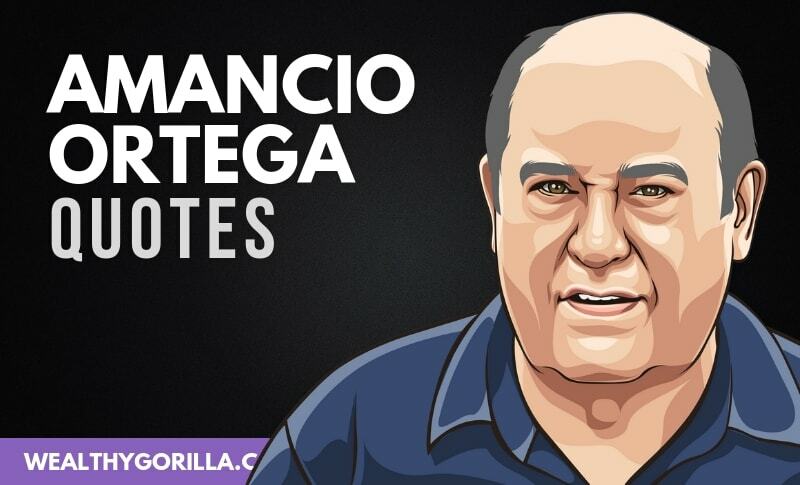 This is a collection of the best Amancio Ortega quotes, relating to money, your career, and success. Thanks for viewing our collection of the best Amancio Ortega quotes! Don’t forget to share them with your friends and family on social media. Which are your favorite Amancio Ortega quotes? Leave a comment below.